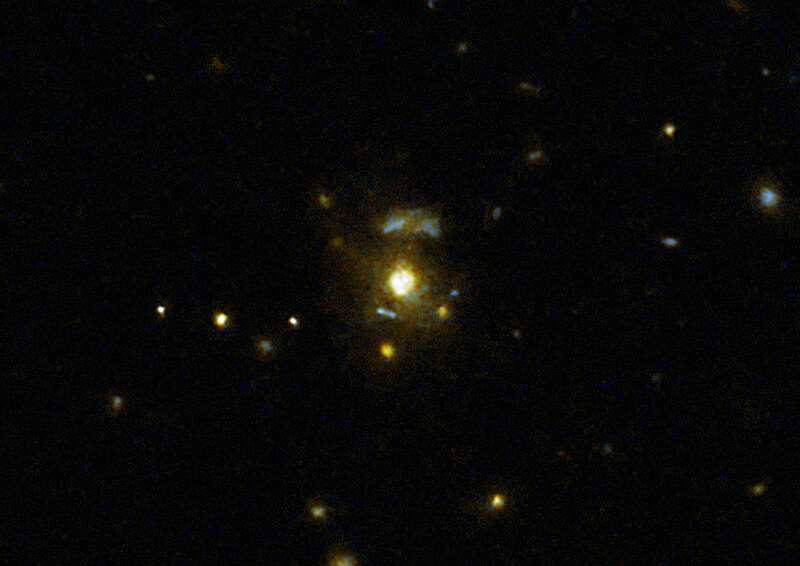 The team studied a large selection of galaxies with extremely luminous centres — known as active galactic nuclei (AGNs) — thought to be the result of large quantities of heated matter circling around and being consumed by a supermassive black hole. 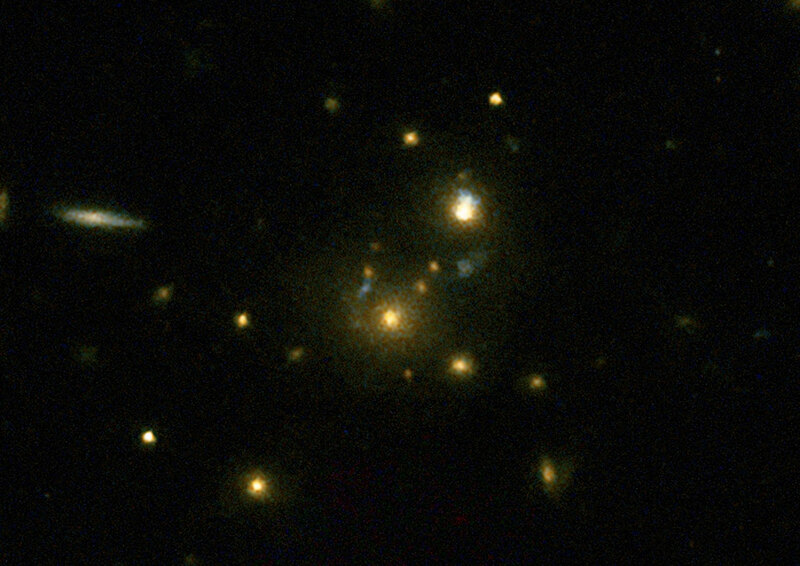 Whilst most galaxies are thought to host a supermassive black hole, only a small percentage of them are this luminous and fewer still go one step further and form what are known as relativistic jets . 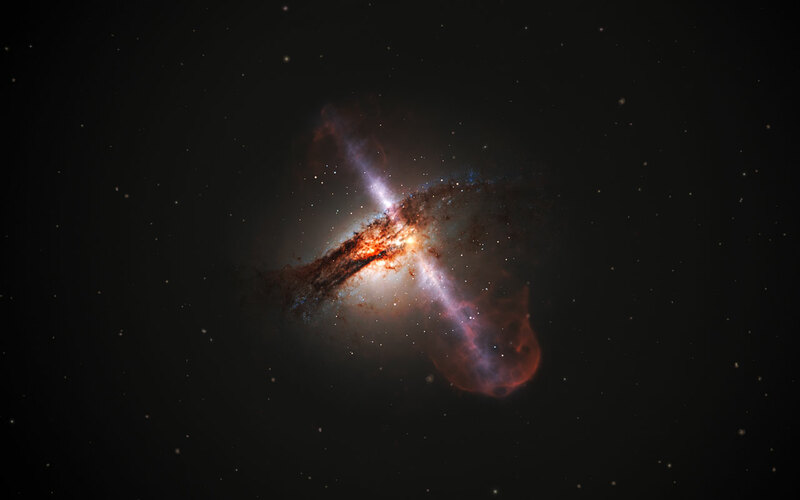 The two high-speed jets of plasma move almost with the speed of light and stream out in opposite directions at right angles to the disc of matter surrounding the black hole, extending thousands of light-years into space. The hot material within the jets is also the origin of radio waves. The new observations used in this research were taken in collaboration with the 3CR-HST team. This international team of astronomers is currently led by Marco Chiaberge and has conducted a series of surveys of radio galaxies and quasars from the 3CR catalogue using the Hubble Space Telescope. The team compared their observations with the swathes of archival data from Hubble. 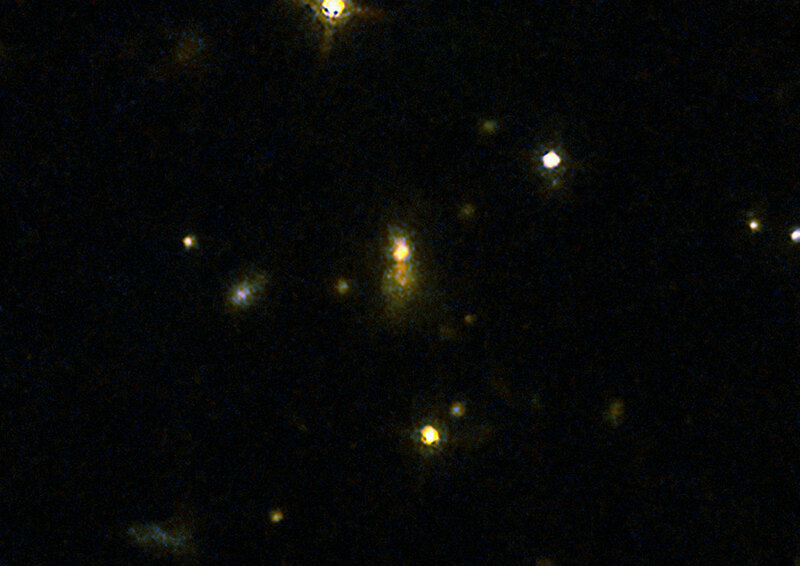 They directly surveyed twelve very distant radio galaxies and compared the results with data from a large number of galaxies observed during other observing programmes. Other studies had shown a strong relationship between the merger history of a galaxy and the high levels of radiation at radio wavelengths that suggests the presence of relativistic jets lurking at the galaxy’s centre. However, this survey is much more extensive, and the results very clear, meaning it can now be said with almost certainty that radio-loud AGNs, that is, galaxies with relativistic jets, are the result of galactic mergers.